If you have been injured in an personal injury accident in Idaho it is always important to perserve the evidence in your case. Even if you ultimately do not decide to sue the person or business that caused your personal injury, a record that has been perserved can make the difference between a solid case and a case that is more difficult to prove. -If you experience a personal injury at a public location such as a grocery store or a mall, file an accident report with customer service. -If you don't personally fill out the report make certain to read over the report and make any necessary changes. Initial any changes and request a copy of the report. Don't leave without your copy. 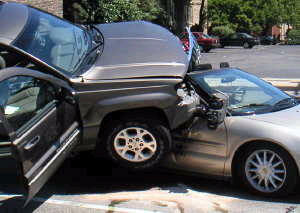 -In your own words describe what happened at the time of your personal injury accident. -Keep a log of how you are feeling. -Keep a log of what your doctor told you to do and exactly how you are following doctor's orders. -Record any new developments in pain. -Record any statements or contact with the party responsible for your personal injury. -If you don't take the medications prescribed by your doctor or you don't follow your doctor's treatment plan, the insurance companies will point to this and say that this is why you failed to recover or why you only had a partial recovery. injury, you are entitled to be compensated for this. -Even if you don't know for certain that you want to file suit against the individual or the company that caused your personal injury a Boise Personal Injury Attorney can help you understand your situation and help you to decide how to preceed. -A Boise Personal Injury Attorney can help you perserve your case if you ultimately decided to sue. -A Boise Personal Injury Attorney can help you deal with the insurance company and possibly get a settlement without having to file suit. Remember - you are entitled to be made whole. Don't let the insurance company tell you that your pain, your suffering, your physical, emotional and financial struggle is only worth what they are will to pay. Give us a call today. You will be glad you did.